We know what you’re thinking though, this might be intimidating and it might lead you to limit your food resume. But since this is the first month of 2018, we decided to start the year by discussing the reasons why everyone should try Lebanese food. Some dishes you might have heard of and others you might have not. However, this blog will open new doors and hopefully your appetite for new foods! We all love choices right? No one likes to be limited, let alone with their selection of food. 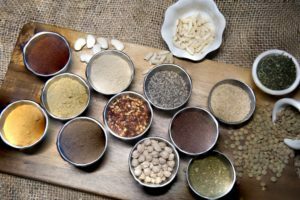 Lebanese food uses spices, herbs, and flavors that ensure every dish served is a memorable one. 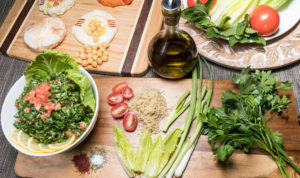 For vegetarians, this is paradise on earth simply because salad making is considered as an art among the Lebanese community. All mixed with olive oil, lemon juice, and salt. 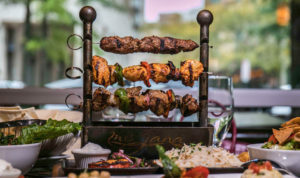 For our meat lovers, do not feel left out, we saved room for you to learn more about what the Lebanese culture can offer you. Shish Taouk, chicken kebabs marinated with onion, garlic whip, and rice. Kafta Kebabs, ground lamb & beef, sumac onion, garlic whip, and rice. Lamb Kebabs, sumac onion, garlic whip, rice. Again, we bring back the topic of options. At Mejana we decided to bring those three types of meat listed above in one meal, and give it a really nice name, the “Signature Mixed Grill”. Let your new year’s resolution (or one of them) be to step out of your comfort zone and experience new things. What comes with these experiences are memories and new opportunities to enrich your life! The great thing about Lebanese food is that you don’t have to even go to Lebanon (which we suggest you do! 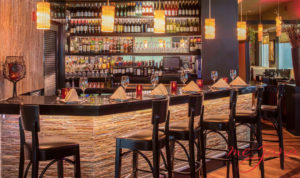 ), at Mejana we offer authentic Lebanese food and Mediterranean cuisines. Our bar was created to instill class and demands good conversation. Dining area created for an intimate and memorable dining experience. Come and try our cuisines for yourself! 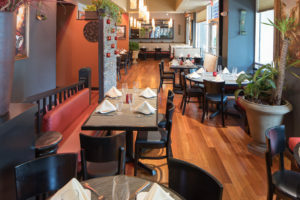 Click here to reserve your table! Be sure to follow us on our social media accounts!